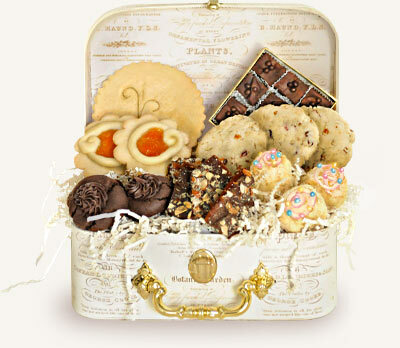 Franny's Demi Delectable Basket is overflowing with 27 delicious and magical servings. 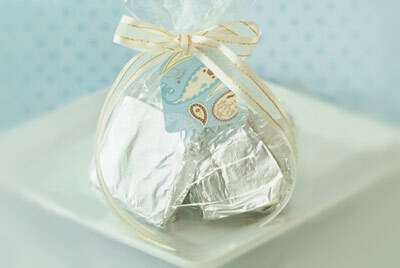 These lovely sweets are packed in cellophane bags and tied with ribbons. The bags are then placed on a bed of crinkle cut hay and tucked in a beautiful keepsake box.1 If your gift is hand delivered, the lid to the basket is left open and wrapped in cellophane and tied with lovely ribbon and bow. If it is shipped, the lid is closed and the basket is tied with a beautiful ribbon. 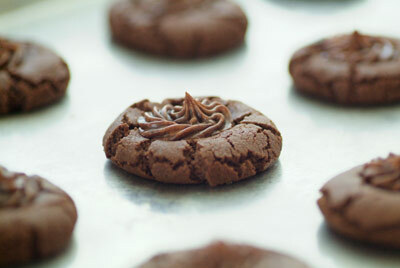 Seductive dark cacao cookies enrobe a gorgeous center swirl of dark chocolate truffle. The finest fruit of the all of the orchids is the Tahitian vanilla bean. We grind this fresh for each and every batch our luscious macaroons, thus insuring these coconut confections with heaven scent vanilla. 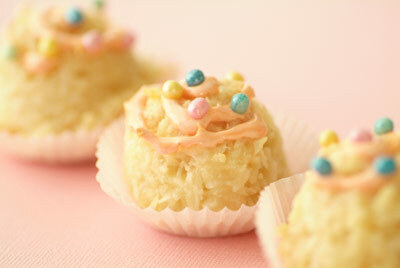 They are swirled with peach tinted icing and sprinkled with an array of colored dragees. 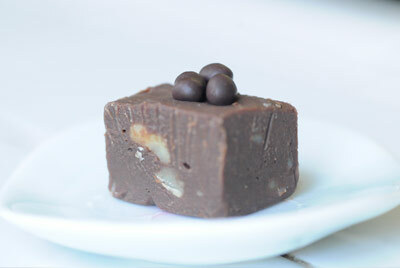 To amplify the flavor of our rich dark chocolate fudge, we add a hint of estate grown Columbian coffee, then mix in on site roasted almonds, and adorn with a trio of cacao dragees. Inspired by the Hawaiian legend of Naupaka, a Hawaiian princess who was forbidden to marry the commoner she had forever fallen in love with. Naupaka was sent to live in the mountains, and Kaui her beloved was banished to live by the sea. Before parting, Naupaka took the flower that adorned her long tresses and tore it in two, giving one half to Kaui and treasuring the other. From that day forward the flower now known as Naupaka only blooms half flowers; one half grows by the sea, the other half in the mountains. Only when the two are joined together do they become whole. 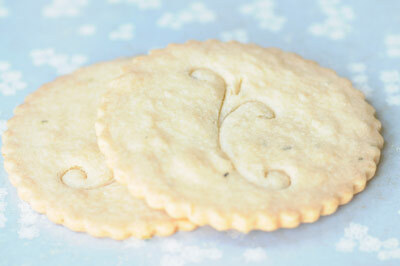 Reminiscent of the intoxicating aroma of rosemary on a hot summer day in Tuscany, these large 4 ½ inch cookies are fragrant with fresh rosemary and zest of lemon. 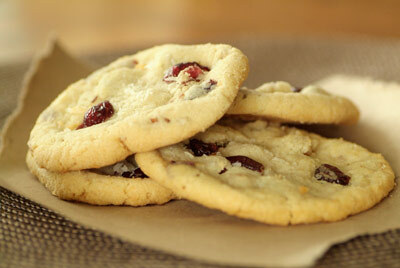 My Goodness, could a cookie have more yummy treats in it than our chewy cranberry pecan orange coconut cookies? 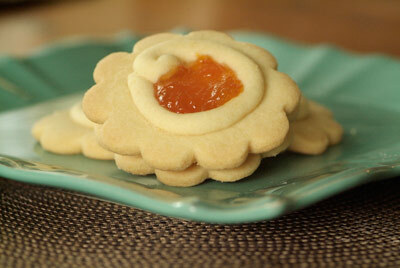 Fragrant with orange, these scrumptious cookies are the perfect balance of "ness," as in - sweetness, nuttiness and tartness.